Conditions in Boulder County have been extremely dry, causing the fire danger level to rise to Very High. The Boulder County Sheriff has called for a fire ban, prohibiting open fires and other activities that could cause a fire in these extreme conditions. 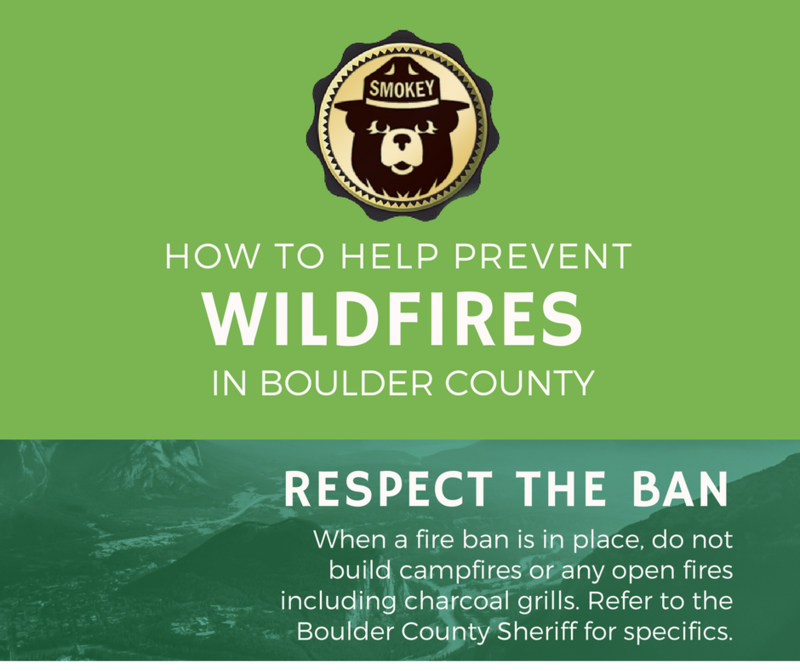 As Boulder County residents, we can prevent wildfires by acting responsibly and being aware to keep our beautiful forests and open spaces safe.